If ever in Sibiu and you have a spare day, the best option is to have a trip to the Balea Lake and Balea Waterfall and also drive on one of the most impressive roads of Romania, the Transfăgărășan. Although it happened quite a while ago, the cold outside makes me want to think some more about the warm and beautiful summer days. So what better way to do that than just remember one amazing weekend in August. A collection of time lapsed videos about Sibiu and its surroundings. 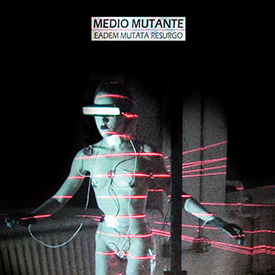 Medical Records present it’s first “modern” release showcasing a full LP compilation of material by American minimal synth band Medio Mutante. Going to Krakow means that you have to have one day to go to the Auschwitz Concentration Camp. Somewhere 60 kilometers from Krakow, you can easily get there by bus from the main bus station.